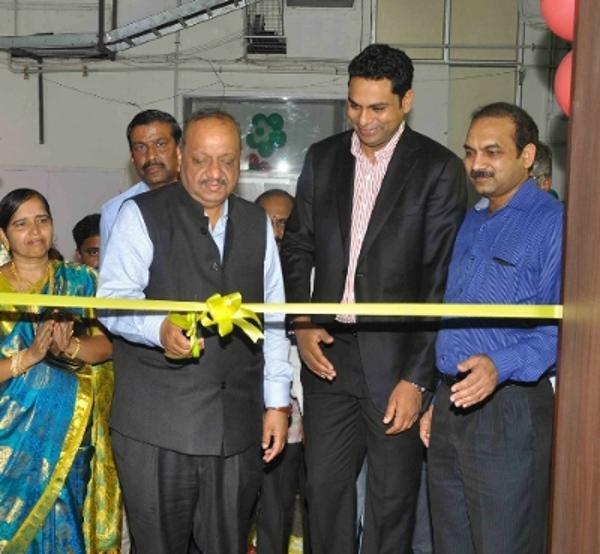 23rd March 2015 - CtrlS Datacenters Ltd, Asia Pacific's largest Tier 4 Datacenter, and BSNL (Bharat Sanchar Nigam Limited) - India's largest telecom public sector giant - announced the launch of International Data Center (IDC) in Chennai. The Chennai data center shall be leveraged to address the mission critical needs of government and public sector units and augment their needs with state-of-the-art data center and disaster recovery, managed services and related offerings. "We are very happy to launch our data center facility in tie-up with BSNL keeping with our tradition and commitment of providing world class infrastructure. Chennai city is very strategic for us as the city is well connected through undersea fiber-optic cables," said Mr. Sridhar Pinapureddy, Founder and CEO, CtrlS. He further adds, "Our strategic partnership with BSNL shall help us provide best of breed solution to address the mission critical needs of government and PSUs alike." After launching the Internet Data Centre here in Chennai, Mr. Naresh Kumar Gupta, Director (CFA), BSNL said, "We are happy to be partnering with CtrlS Datacenters Ltd. CtrlS will provide the infrastructure facility while BSNL will provide the bandwidth and space for the service." He further added, "This is part of revenue sharing between CtrlS and BSNL. It will be able to host services; can be used as software as a service and cloud computing." This is BSNL's first data center in South India and as a part of the tie-up, BSNL shall provide the marketing support, network and power infrastructure to CtrlS - who in turn shall deliver the technology services to government and PSU customers. Now BSNL offers services like managed hosting, managed co-location, cloud services to corporates, in Chennai. Managed co-location services provides infrastructure for co-location services with SLA at reduced total cost of operation (TCO). Customizable cloud servers with the right amount of CPU, RAM, and storage for your application, with flexible options. On-demand provisioning with web portal to start up a cloud server in few minutes or spin up a full environment with REST based API. The Gartner analysis report details that CtrlS has good data center infrastructure and has invested in high-grade data centers, an important requirement in India due to the country's generally poor infrastructure. The report also mentions that - CtrlS provides high-availability services through its high-grade data centers, multi-availability zones and three-way disaster recovery architecture, with a zero-data-loss guarantee. It also has strong security implementations, with good certifications. It is strong in the banking and financial services sector. The company has strong IT services skills, with experience of supporting secure payments and financial transactions for banking and financial services organizations. It tends to take a solution-led approach, which differentiates it from infrastructure-based players. CtrlS is APAC's largest Tier 4 Data center and managed services provider. The company is a trusted advisor to over 2,000 Indian and world's leading organizations. CtrlS operates two state-of-the-art facilities in Hyderabad and Mumbai, while the company soon plans to launch its New Delhi facility. The Hyderabad facility consists of 20,000 sq. ft. of space with a rack capacity of 972 and power capacity of 10 MW. The Mumbai facility can house 5000 racks with 200,000 sq. ft. of space and 30 MW of power capacity. The New Delhi facility consists of 100,000 sq.ft of space. The Company has over 500 employees and is headquartered in Hyderabad, India. Bharat Sanchar Nigam Limited (abbreviated BSNL) is an Indian state-owned telecommunications company headquartered in New Delhi, India. It was incorporated on 15 September 2000 and took over the business of providing of telecom services and network management from the erstwhile Central Government Departments of Telecom Services (DTS) and Telecom Operations (DTO), with effect from 1 October 2000 on a going concern basis. It is the largest provider of fixed telephony, largest broadband services provider with more than 60% market share, and fourth largest mobile telephony provider in India. However, in recent years the company's revenues and market share have plummeted into heavy losses due to intense competition in the Indian telecommunications sector. BSNL is India's oldest and largest communication service provider (CSP). It had a customer base of 117 million as of January 2014.